Kicks for Thought is a soccer specific sport science blog bringing you the latest studies and breakthroughs in soccer performance training. As a company that inspires individuals and teams to reach their ultimate soccer performance goals we find it very beneficial to give the science and reasoning behind everything we do. Along with the articles there is also a parent’s corner which covers adult health and fitness including diet, nutrition, workouts, and more! About the Author – Sean Weir, C.S.C.S. Sean graduated from the University of Connecticut School of Kinesiology in 2013 with a Bachelor of Science degree in Exercise Science, Strength and Conditioning. He is currently certified with the National Strength and Conditioning Association as a Certified Strength and Conditioning Specialist. Sean played as a Division 1 student athlete for the University of Connecticut Soccer program winning 2 Big East Season Championships and 5 NCAA Tournament appearances. Sean is currently the strength and conditioning coach for A.C. Connecticut Men’s and Junior’s programs and also a personal trainer at NYA Sports & Fitness Center. Sean has been teaching youth soccer in various regions of Connecticut for the past seven years. 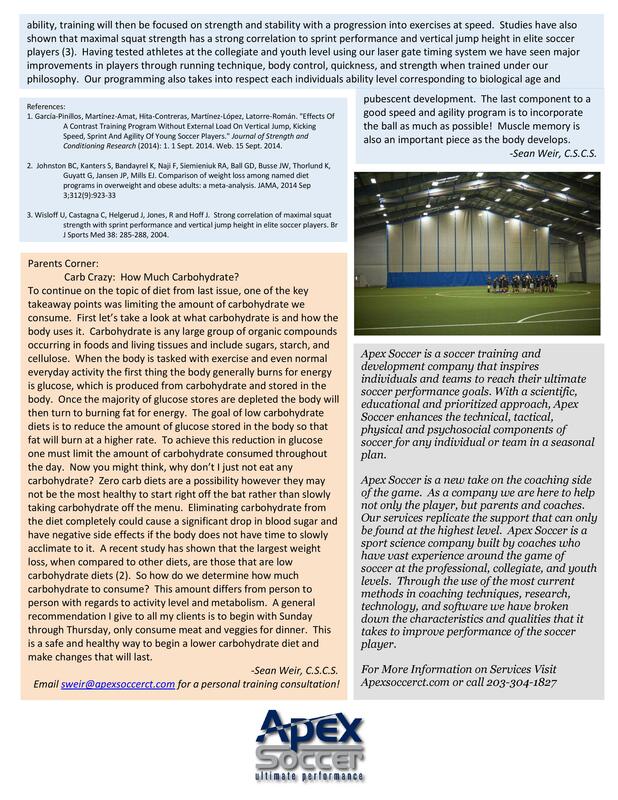 Issue 1, Kicks For Thought – Soccer Specific Performance Testing, December 2014. 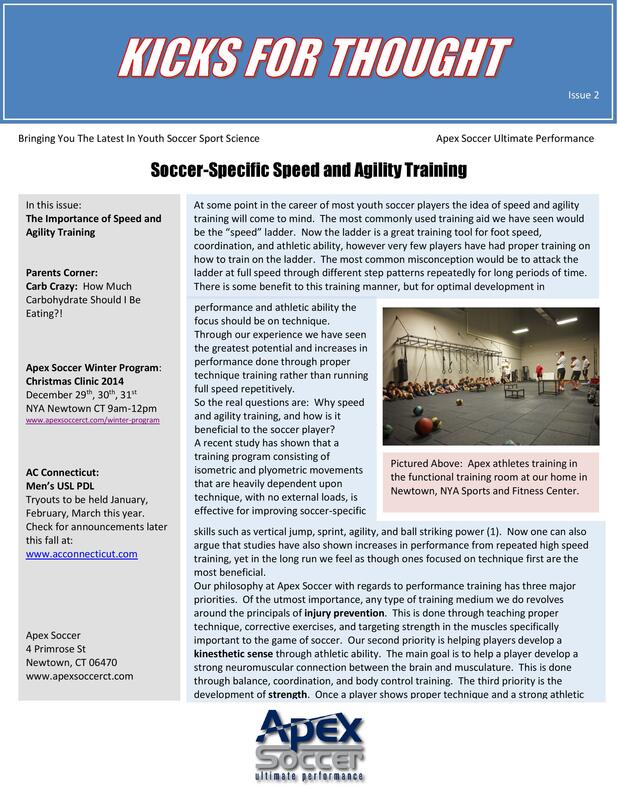 Issue 2, Kicks For Thought – Soccer Specific Speed and Agility Training, January 2015.